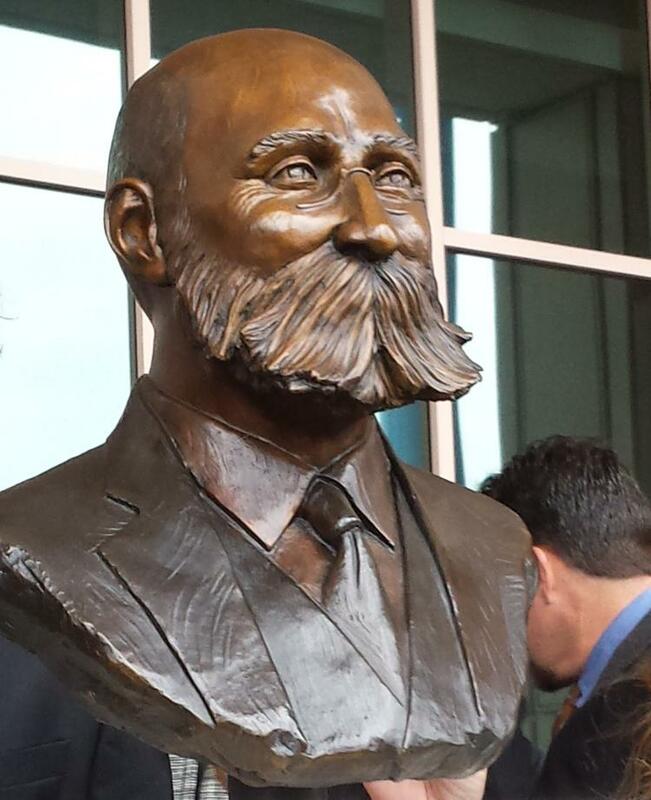 In honor of Movember, we remember the mustaches that helped make Tampa Bay the amazing place it is today. The arrival of Henry Plant&apos;s railroad in the mid-1880s opened a major land connection between Tampa Bay and the rest of the world. Until then, traveling to and from Tampa Bay had been either by ship (we are still the largest port in Florida) or by stagecoach along rough wilderness roads. Together Plant&apos;s railroad and steamship line made Tampa Bay the bustling hub of commerce in west Florida and opened the way to decades of close ties to Cuba that continue today. Plant built his massive Tampa Bay Hotel (now home to the H.B. Plant Museum) on the west bank of the Hillsborough River, creating a resort oasis for Gilded Age celebrities as well as the launching point for the Spanish-American War that freed Cuban from Spanish rule in 1898 -- and, yes, Teddy Roosevelt (and his mustache) slept here before charging up San Juan Hill. A Spaniard by birth, Ybor supported Cuban independence in the late 1880s -- an opinion that was unpopular with Powers That Be at the time, forcing him to leave the island and set up his cigar industry in Florida. After a few years in Key West, Ybor moved the entire operation to Tampa Bay, building a massive cigar factory east of downtown in the community that now bears his name -- Ybor City. After the first cigar was rolled in 1885, the industry great tremendously, reaching dozens of companies, hundreds of factories and more than 600,000 cigars a year at its peak. Ybor City became the entry points for thousands of immigrants from Cuba, Spain, Italy, Germany, and Eastern Europe, creating a community dramatically different from any other in Florida. Henry Plant&apos;s railroad carried Tampa Bay&apos;s cigars to board rooms and palaces across the globe, turning Tampa Bay into the undisputed Cigar Capital of the World. 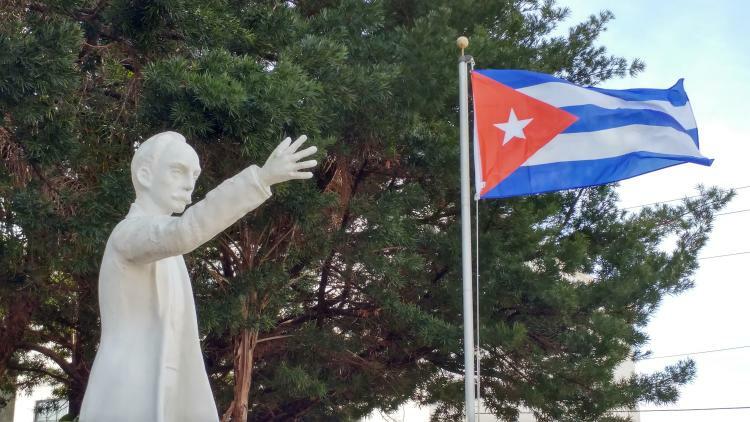 Journalist, poet, and el apóstolo de la revolución, José Martí found moral and financial support for his long fight for Cuban independence from Spain in the streets and cigar factories of Tampa Bay. Martí made a major speech in favor of independence on the steps of Ybor&apos;s cigar factory. During one visit, Martí was poisoned in an assassination attempt and recovered in the boarding house of Paulina Pedroso. In 1956, Pedroso&apos;s former property at 1303 East 8th Avenue became José Martí Park and has been owned by the Cuban people ever sense. A second statue of Martí stands outside the historic Cuban Club at 9th Avenue and 15th Street. A downloadable walking tour through Ybor City takes visitors to sites in the neighborhood associated with Martí and his fight on behalf of his people. 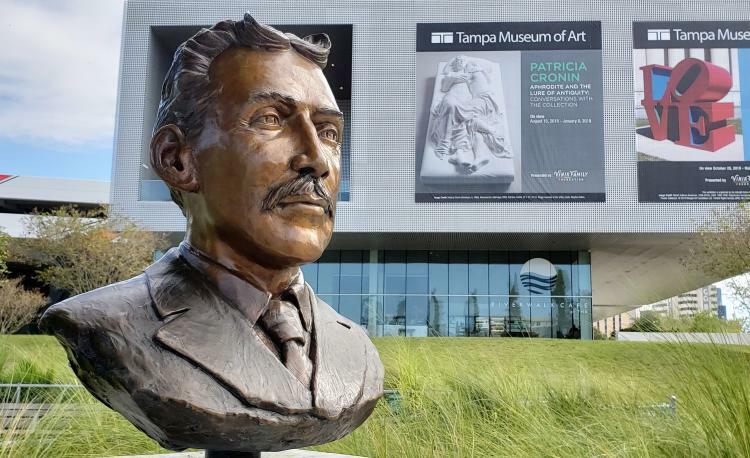 The owner of a incredible soup strainer, Gutierrez was Spaniard by birth, an engineer by training, and a resident of New York when he set out to investigate rumors that guavas grew wild in the environs of Tampa Bay. Gutierrez was hoping to help his business partner expand his tropical fruit enterprise. After traveling 1,500 miles by railroad, steamship, and stagecoach, Gutierrez arrived in Tampa Bay and found his quest to be (wait for it) fruitless. No guavas. He did, however, find a community ripe for growth and acres upon acres of prime real estate, which he described to his friend Don Vicente Martinez Ybor when Gutierrez stopped in Key West on his voyage home. Ybor hired Gutierrez to design neighborhood that would become home to cigar industry a few years later. Gutierrez become Ybor City&apos;s first resident. An old friend of Don Vicente Martinez Ybor, Haya become a founding investor in Ybor City after visiting Tampa Bay with Ybor and Gutierrez to investigate moving Ybor&apos;s cigar industry from Key West. Haya formed his own cigar company -- Sanchez y Haya -- and also funded the creation of El Centrol Español, one of five mutual aid societies that formed the core of immigrants&apos; lives in Ybor City for decades. As with Ybor&apos;s other societies, Centro members were born in its hospital, raised in its hallways, healed in its hospital, and buried in its cemetery. The distinctive El Centro Español building sits on 7th Avenue in the heart of Ybor City (look for the white keyhole arch reminiscent of the Cathedral of Cordoba) and today houses Carne Chop House. 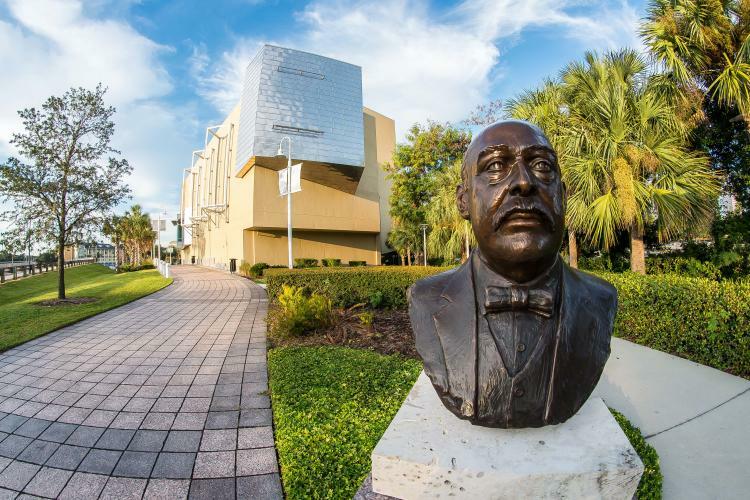 Tampa Bay&apos;s first Jewish mayor immigrated to the United States from Germany in 1854. Glogowski&apos;s time as mayor coincided with the arrival of Plant, Ybor, Gutierrez and Haya and the subsequent skyrocketing development of the community. As mayor, Glogowski laid the cornerstone of Plant&apos;s Tampa Bay Hotel in 1888 and oversaw the construction of a bridge linking the hotel to downtown across the Hillsborough River. The city&apos;s electric grid and streetcar system were also developed during his tenure at City Hall. After leaving office, Glogowski helped found Schaarai Zedek, Tampa Bay&apos;s first synagogue, and laid the cornerstone for that in 1899. You can find monuments to these and many other influential members of Tampa Bay&apos;s founding citizens on the Monument Trail along the Tampa Riverwalk.